This resource is a great learning centre activity. 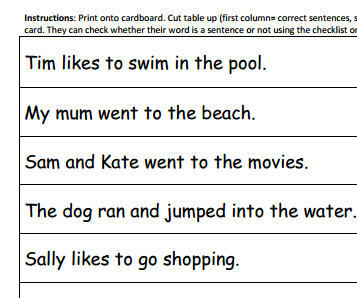 Students must sort sentences into Yes or No based on whether they are a correct sentence. 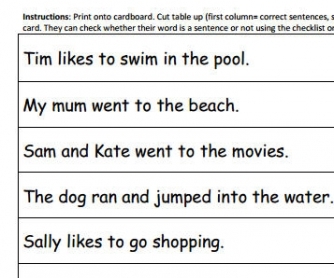 Comes with checklist for students to assess whether the sentence is correct or not. Print onto cardboard or laminate and use over and over.